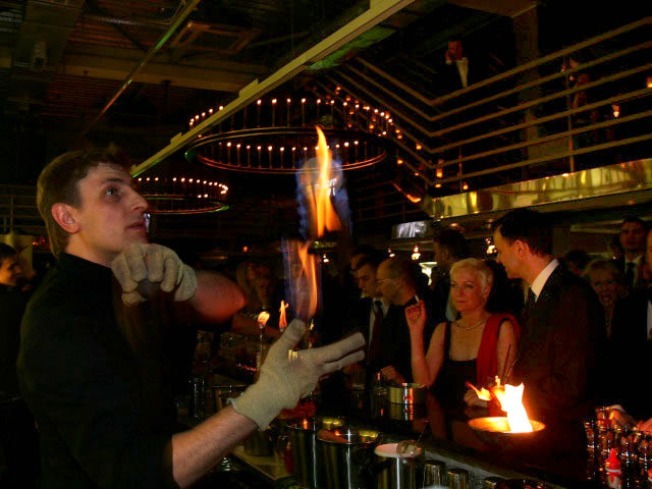 That's how we like our drinks, all right: flaming! This year's Repeal Day Ball is themed the Spirit of 76, featuring bartenders dressed as the founding fathers of the United States. Some of the area's best bartenders will share the limelight, including Gina Chersevani, Derek Brown and Todd Thrasher. Special guests include bartending legend Dale Degroff and toastmaster Jeffery Morgenthaler. The Red Hot Rhythm Chiefs will provide the tunes. VIP and gen admission tickets are $100-$150. VIP attendees will enjoy special access to cocktail demonstrations, hor d’oueveres, admittance to VIP after-parties and a copy of "The Lush Life: Portraits from the Bar" by Jill Degroff. This event is blacktie so get "suited and booted" to tip your hat and sip on some of D.C.'s best signature cocktails.